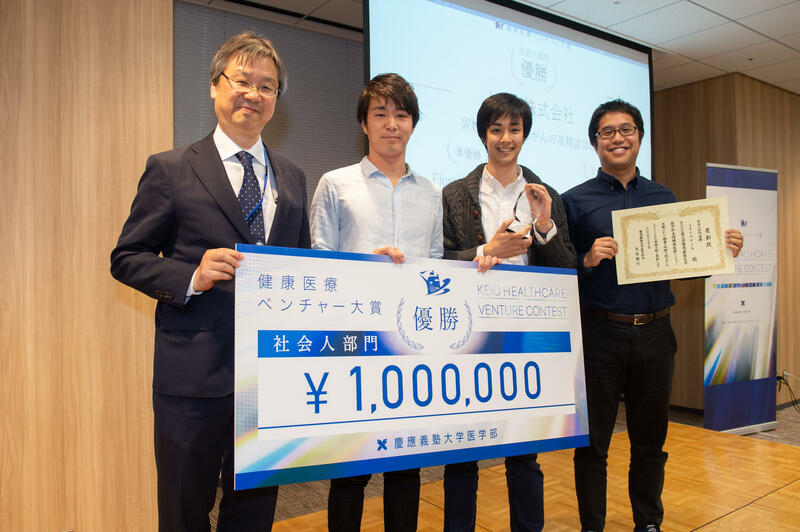 On Sunday, December 2, 2018, Keio University School of Medicine held the finals of its third Healthcare Venture Contest. 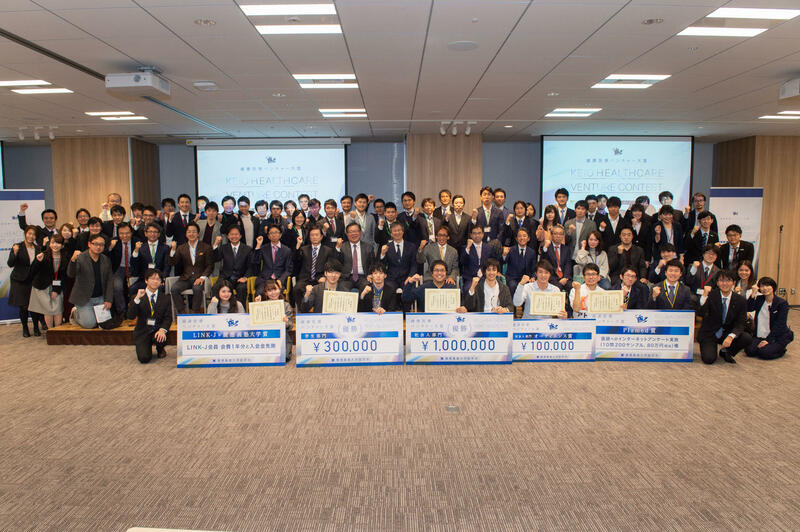 The third contest welcomed over one hundred applications coming from Keio as well other universities and corporations, more than either of the previous contests. Six teams were selected for the finals based on their merits as scalable ventures, receiving a thorough brushing up of their individual business plans, which included an entrepreneurship seminar, a pitch to advanced medical specialists, and mentoring by medical business experts. 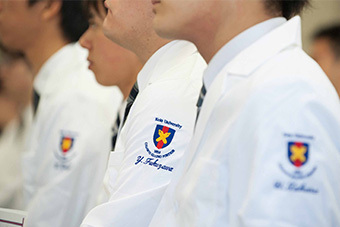 In the newly added pitch to medical specialists, teams were paired with a medical professional best suited for their business using the robust network that is unique to Keio University School of Medicine. This allowed teams to gain much deeper insights into their business plans from a professional’s point of view. 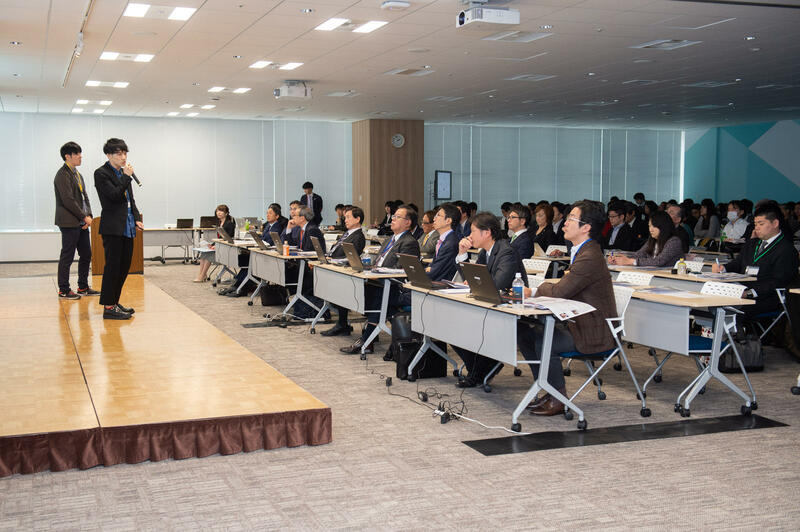 More than 200 excited onlookers packed the venue of the final event at NIHONBASHI Life Science HUB. 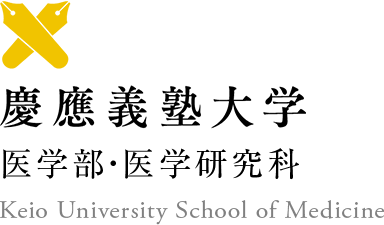 The Student Division Prize and Audience Award both went to METRICA, who is using AI to try and solve the shortage of personnel in nursing care. METRICA earned the Student Division Prize with a precise plan that showed a high level of expertise in both medical care and technology. 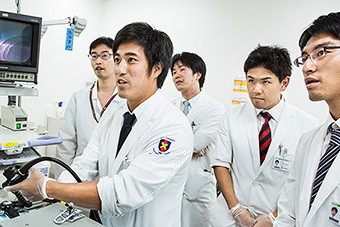 And together with their AI demonstration video, the team displayed a degree of refinement rarely seen among student teams. The Corporate Division Prize and Audience Award went to Icaria Inc., who have made possible a high-accuracy diagnosis for lung cancer. 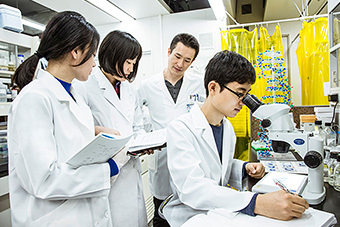 The team has developed a unique program that uses machine learning to detect urinary miRNAs, which are attracting attention as cancer diagnostic biomarkers. This has made it possible for them to detect cancer with 98% accuracy. 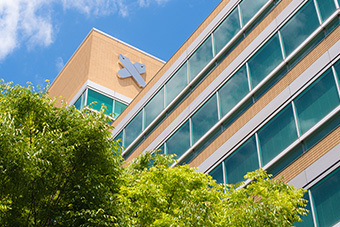 As a medical venture established on empirical basic research, the company has garnered high acclaim and is expected to have its technology applied to clinical practice in the future. Sponsor PLAMED Inc. selected the ATOPIYO team for their Corporate Division Award. The team developed the Atopiyo app, a social media network dedicated to patients living with atopic eczema, which had more than 1,000 downloads within three weeks of its release on July 25, 2018. Sponsor Mitsui Fudosan chose AEDi for the Student Division Award. The team’s plan proposed a more efficient use of AEDs that would allow them to be used by ordinary people in an emergency before an ambulance arrives. Their novel approach, which creates added value for AEDs and could potentially have a significant impact on society, has earned them acclaim and led to them being chosen for the award. Also among the student teams was MAGIAPPLTD, who have developed exposure therapy for anxiety disorder using VR. Their technology is already in use at some medical institutions but wasn’t chosen for an award. However, it did receive high praise from the audience. Also of note among the corporate teams was Flora Assistant, who proposed a system for the health management of athletes using gut flora. In addition to current evidence and data, the team is expected to gather further user data to create ever larger databases, the possibilities of which have earned them much attention. 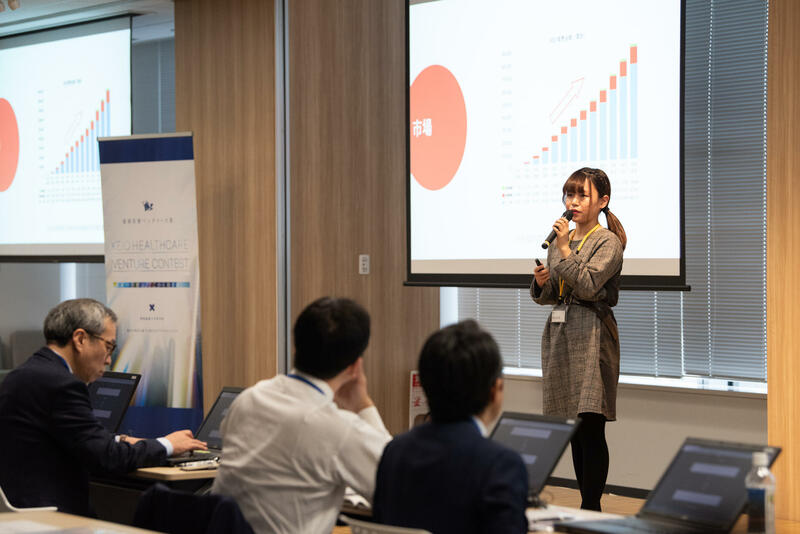 The finals saw judges heap praise upon the many viable ideas and polished presentations and explain the strong demand for a network that connects businesses with world-class expertise.